There are a lot of different workouts out there: P90X, Insanity, Pilates, CrossFit, and hundreds more. Most people have no idea what all of these different actually do for your body. Instead of looking for a trendy workout program when you want to get in shape, there is a much simpler way to get the body you’ve always wanted. It all comes down to knowing the main parts of a good workout and how they can be broken down into different types of exercise. Once you know the benefits of these different types, you can customise a workout that will help you meet your goals. Each of these parts is important to maintaining the overall health and wellness of your body. However, not all exercises are created equal. In every phase of your workout, you can choose between different types of exercise. You should make these decisions based on your needs and goals. Let’s take a look at the benefits of these different types of exercise. The basic goal of cardio is to raise your heart rate. By doing so, you improve the function of your heart and lungs, lower your blood pressure, and boost your mood through an increase in serotonin production. Cardio is also the number one way to burn off excess body fat and can increase muscle strength. All cardio is meant to get your heart pumping, but not all workouts do it in the same way. Depending on your workout, you may want to choose high-intensity interval training (HIIT) or low-impact steady state (LISS) training. With HIIT training, you will alternate between slow, low-intensity movements punctuated with bursts of faster, high-intensity movements. The benefit of this type of workout primarily comes down to how the body burns fat. In the first few seconds of high-intensity movement, the body goes straight to its stored fat to burn the calories that it needs for the movement. This means that every time you begin a high-intensity interval, you’ll be burning stored fat as opposed to recently-consumed calories. This makes HIIT training ideal for quickly burning off the body’s excess fat. 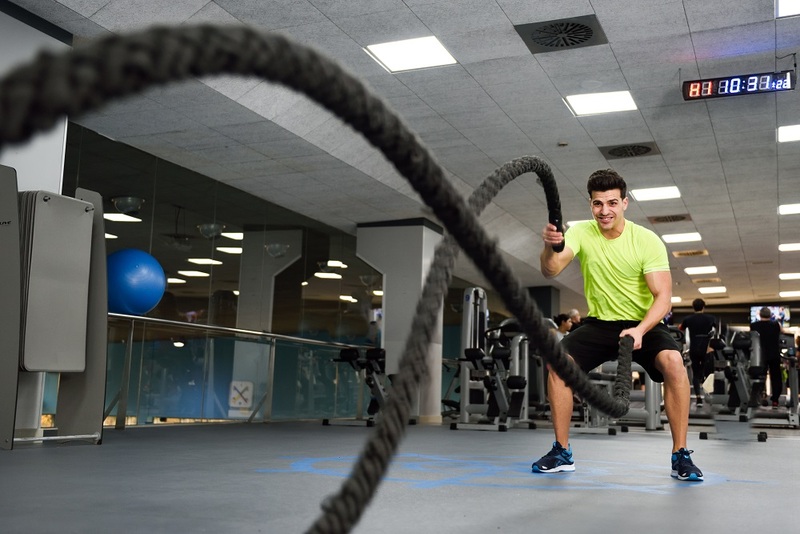 The idea behind LISS training is to do a longer cardio workout that maintains a relatively moderate, steady pace and level of intensity from beginning to end. After you’ve been engaging your cardiovascular system for a few minutes, your body begins to pull oxygen from inside your muscles to allow you to continue the exercise for a long period. This means that LISS training is ideal for better blood flow, a stronger heart, and improved cardiovascular health. It is also very useful in the initial stages of a weight-loss plan as it conditions your body, allowing you to gain the endurance you’ll need for HIIT training. Another way to break down cardio workouts is by examining the impact of the exercises. Typically, this centers on how the exercises affect your body’s joints. Low-impact cardio is typically easier on your joints. These exercises use gentle, fluid motions to get the body moving. Using low-impact cardio in your workout is a good idea if you are new to working out or are recovering from an injury. 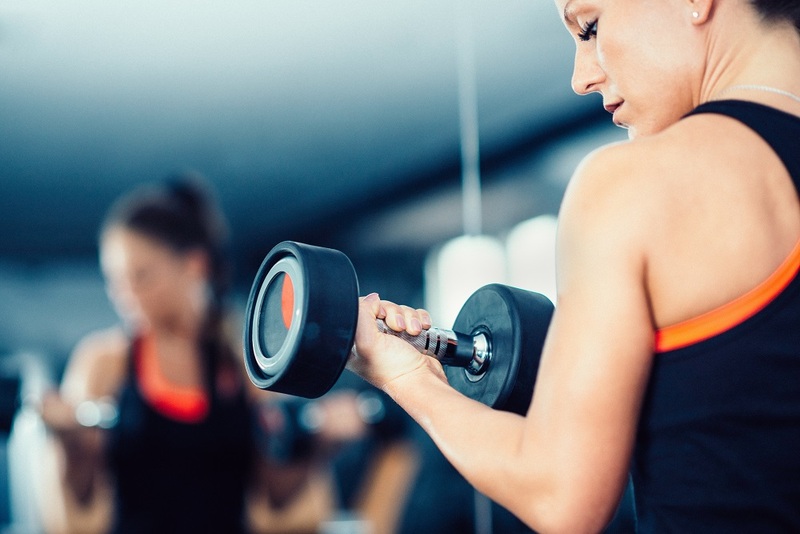 Even if your main fitness goal is weight loss, it is important to include strength training in your fitness regimen. Strength training involves using weights or other forms of resistance to work your body’s various muscle groups. These exercises build muscle, burn calories, increase metabolism, and help your body in countless other ways. You should choose isometrics or isotonics based on your fitness goals and current physical abilities. You can also combine the two types of exercise for a well-rounded workout. The difference between compound exercises and isolation exercises is simple: compound exercises work multiple muscles at the same time whereas isolation exercises focus on one specific muscle or group. Although it is the most frequently overlooked, stretching is actually an important part of any workout. Stretching both before and after your workout will help prevent injuries and increase flexibility, range of motion, and blood flow. People typically think about three different categories of stretching: static stretching, dynamic stretching, and yoga. However, this is a bit misleading. Although yoga does include a lot of stretching and is very good for your flexibility, it also contains a heavy strength-training component. The mistake that many people make is using yoga for recovery; this is dangerous because of how heavily your muscles can be worked during yoga. Instead, yoga should be considered a low-intensity isometric exercise that also includes stretching as a key component. Static stretching, unlike yoga, focuses entirely on loosening the muscle and improving its flexibility. These stretches involve getting into a position that stretches the muscle and holding it for 10-30 seconds. Just about any position that requires the muscle to stretch can be a static stretch, but you should work with a trainer to select positions that won’t damage the muscles. The best workouts will include all three components and will be tailored to fit your body’s specific needs. You can also mix up the different types of workouts to make your regimen more inclusive and interesting.